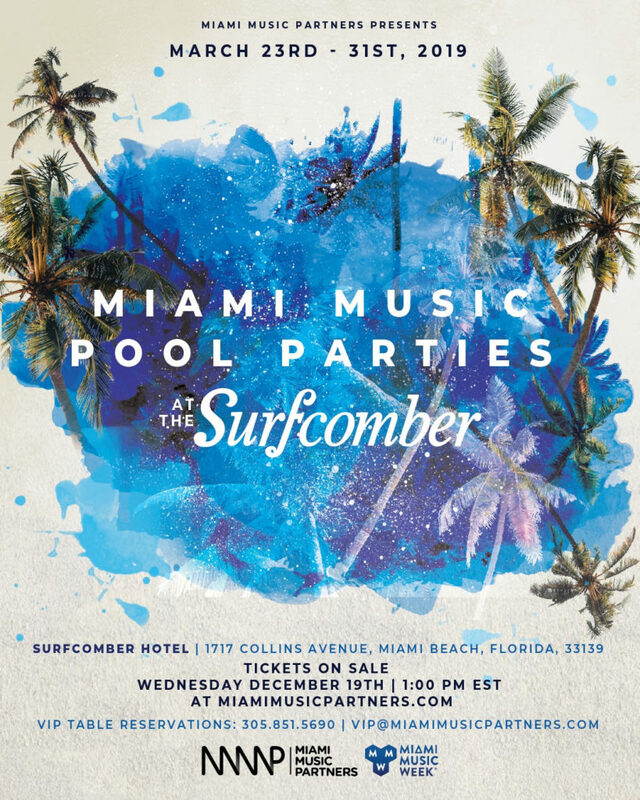 We would like to formally announce the Miami Music Pool Parties, at The Kimpton Surfcomber Hotel, taking place March 23rd through March 31st, 2019, during Miami Music Week 2019! Early-bird ‘All Week’ Passes will be going on sale, next Wednesday, December 19th, on MiamiMusicPartners.com! Follow us on our socials & stay tuned for our upcoming Miami Music Pool Parties at The Surfcomber announcements!